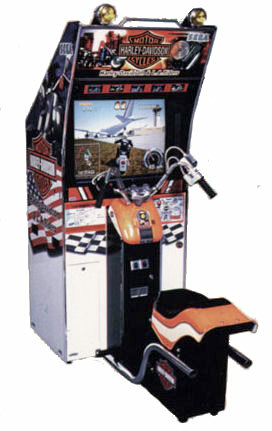 The Harley Davidson Motorcycle simulator game, put out by Sega resembles the real thrills of being o a motorcycle. Experience the freedom of a 1948 Panhead FLFTF Fat Boy FL or the thrill of a FXDWG Dyna wide glide. These bikes are yours and they are available for you to experience. There a plethora of bikes to choose from and once you have chosen, the real fun and experience begins. You will be riding throughout Los Angeles, but no racing game is complete with an obstacle or two to get around. Your timed race will also let you pick up bonus items that are scattered along the course. Your creative side even has a chance to show itself in this Harley Davidson Motorcycle Simulator arcade game rental by allowing you to do the customization on your bike. You can link the units together and have a competitive sport. Once you have cleared all round and received a certain number of points you will receive you battle certification and with this move on to the next level. The Harley Davidson Motorcycle Simulator arcade cabinet for rent comes with a 55 inch monitor and a bike motion system so that you can get the real feeling of moving along the road. Video Amusement delivers our Harley Davidson Motorcycle simulator game Rentals in California, San Francisco, San Jose, Santa Clara. Santa Cruz, Palo Alto, Monterey, Salinas, Sacramento, Los Angeles, San Diego, Silicon Valley, East Bay, Central Coast and Bay Area cites as well Las Vegas Nevada and entire West Coast. 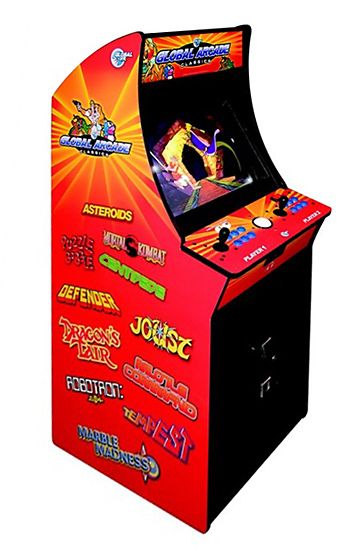 Video Amusement has the largest inventory of games and multiple units in stock and ready for your guests to enjoy. 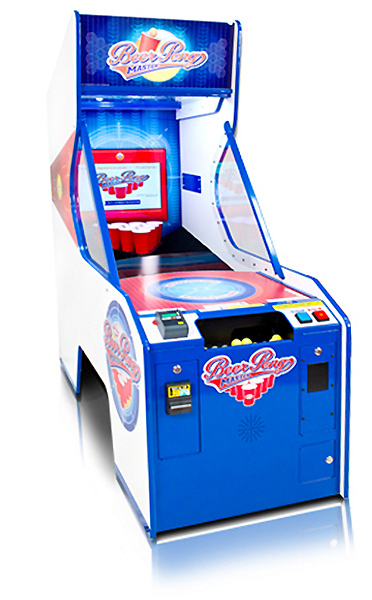 Let’s have fun and party with Harley Davidson Motorcycle simulator game Rentals!